In 1972, the LP "Sometime in New York City" was released. On it, John Lennon and Yoko Ono take a stand on the then current political scene. 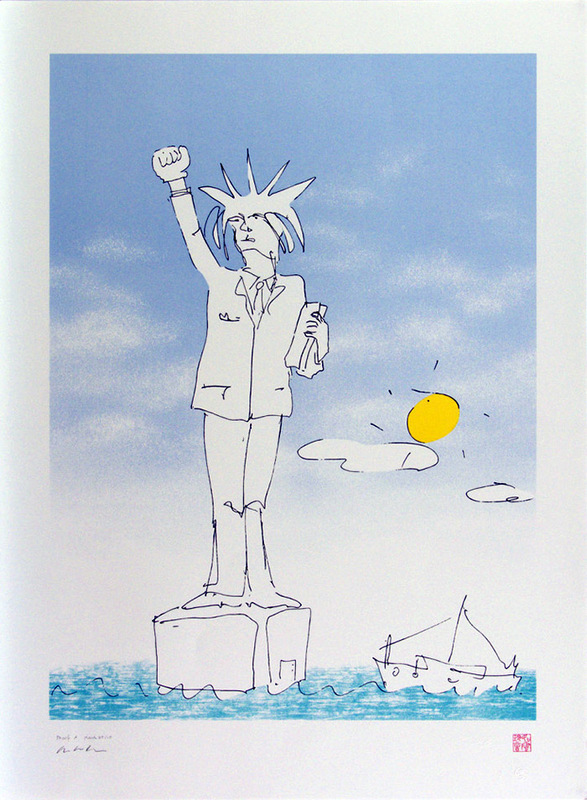 A postcard was enclosed in the album of a collage by John of The Statue of Liberty with an upraised clenched fist.